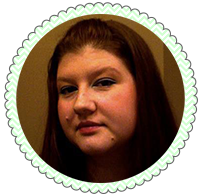 We are going to start things off with Hearts of the Forest. Hearts of the Forest represents Land in the trio. 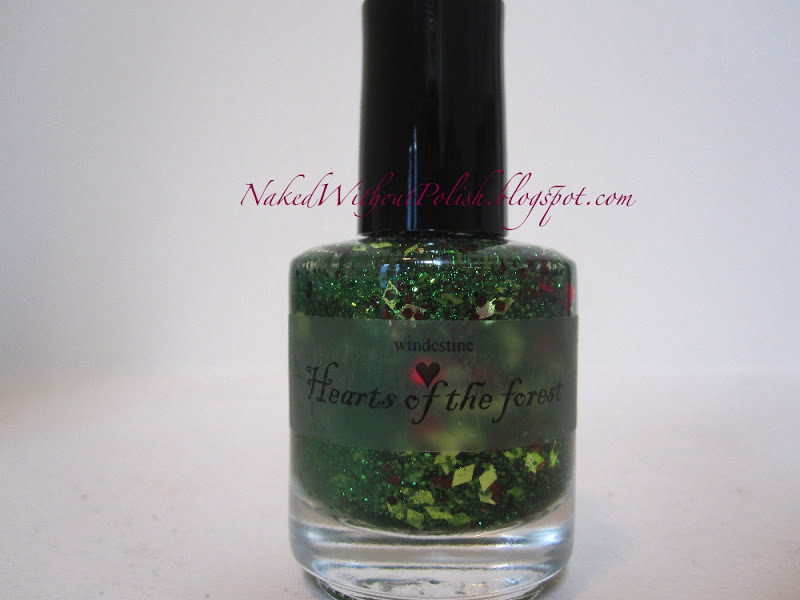 Hearts of the Forest is a clear base filled with "red heart glitter, brown medium sized hex glitter, and green glitter in various shades, shapes and sizes". At a slight angle to see some of the glitter. This is a full three coats of Hearts of the Forest. As you can see not many heart glitters came out to play. They were really hard to fish for, but I had no issues with the other glitter attaching to the brush. Application wasn't terrible. There were a couple spots where I had to dab on glitter to make sure I had zero naked spots when I wanted full coverage. I really liked the 1 and 2 coats though. You could see all the different types of glitter in those. Nothing was covered up with the layering. Other than the dabbing and fishing for hearts, this was an easy polish to work with considering it has larger pieces of glitter in it. They aren't always the easiest to work with. 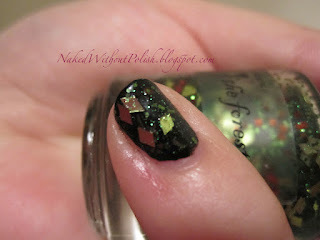 This is 2 coats of Hearts of the Forest over 1 coat of Cult Nails - Nevermore. Nevermore is an opaque glossy 1-coat black. Almost nothing shows off a glitter top coat better. This was a great pairing! Yes, missing a heart or two, but my pinky is so small and all the diamonds look so good. A heart would make it a little crowded, so I will let it pass this time. I love the pieces of green and even the pieces of brown over the black. It's just lovely! 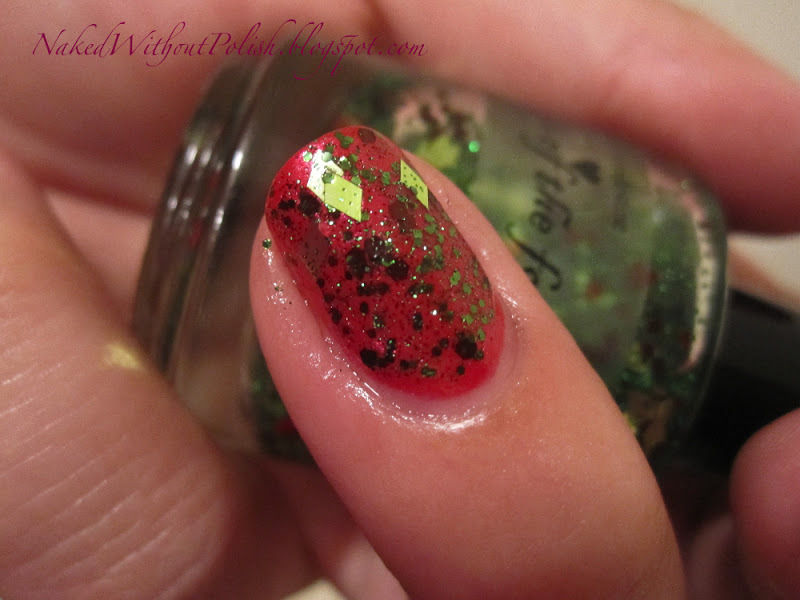 This is 2 coats of Hearts of the Forest over 2 coats of Tip Top Nails - Get Reddy. I wanted a red that the heart wouldn't blend in with, if I was lucky enough to get one. However, no hearts on this nail either. 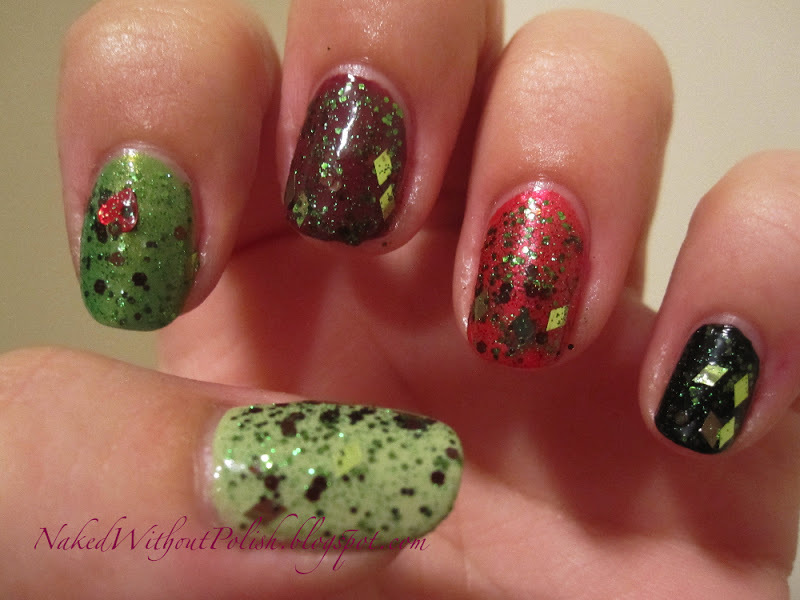 Not a fan of this combination, the brown glitter against the red isn't doing it for me at all. This is 2 coats of Hearts of the Forest over 2 coats of Wet n Wild - Megalast - Haze of Love. Haze of Love is a dark brownish-red creme. 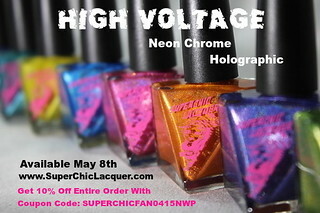 On Windestine's shop, she swatched it over a similar color and I loved it. I had to try it for myself. I can see why she did it! It's beautiful together...minus the lack of heart glitter. This is 2 coats of Hearts of the Forest over 2 coats of Revlon - Bonsai. 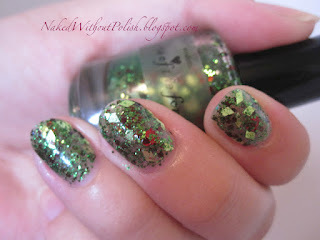 Bonsai is a leafy green shimmer with added gold shimmer and a slight pink shimmer. I knew this would be great to give Hearts of he Forest a little more depth. This was a beautiful pairing! The shade of green didn't make any of the green glitter blend in. Everything is shown off beautifully! And looky there! A heart!! I was surprised I finally got one out of the bottle. So pretty! 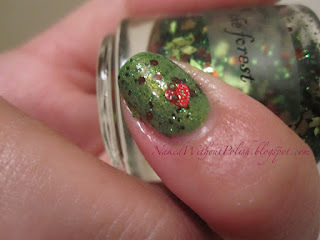 This is 2 coats of Hearts of the Forest over 2 coats of Essie - Navigate Her. Navigate Her is a pale lime green creme. This pairing was lovely. Navigate Her didn't take over the mani, it let Hearts of the Forest shine. You see every speck of glitter that came out of the bottle. Even the lighter diamonds stood out. The only thing that would have made this better would be a couple pieces of heart glitter. 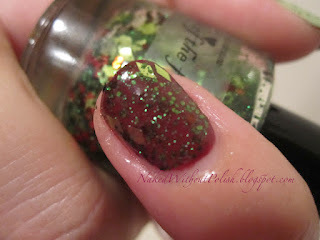 Windestine makes a beautiful glitter polish! The downsides to this one were minimal: if you want full coverage you will need to do some dabbing and placement of glitter and 3 coats and the heart glitter was heart to get to attach to the brush and get out of the bottle. Other than that, it was beautiful! Went on smooth, it wasn't overly thick or hard to work with. You can purchase Hearts of the Forest and several others at their BigCartel site. 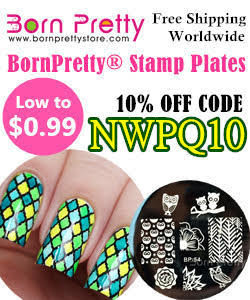 It is currently on sale for $7. You won't be disappointed! I can't wait to show you the rest of the Land, Sea & Sky collection next week!